The Internet of Things is making is simple for people, businesses and service providers to connect. 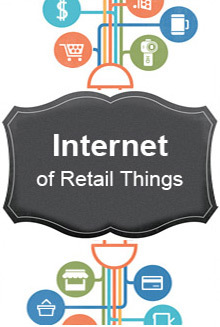 IoT can make the leap to digital retail simple – or can be a hurdle for retailers not ready for the transition. 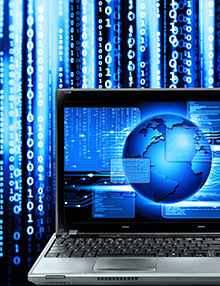 One expert offers his advice on how to take your business into the digital space. First, create an IoT roadmap. “With any new technology, there are promising new opportunities but also many challenges. IoT is a journey towards digitization and not a destination, and retailers need to evaluate the business hurdles they may face when adopting IoT. The perfect place to start is to create an IoT roadmap identifying their strategy, what IoT components are needed, the process and operations needed to implement and most importantly, the team that will be apart of making the investment successful,” said Sandeep Agarwal, Head of Engineering, Happiest Minds. Second, develop a costs and benefits matrix. Third, start a pilot project. “A pilot project should be a small project that can be implemented in just 3-6 months, that drives a tangible outcome in sales, managing inventory and customer experience. A good example of a quick turn around pilot is implementing beacon technology. Once data collection is in full swing and a sufficient volume of data is in place, the latter can be overlaid with IoT integrations with different data sources, leading to the generation of many potential insights. Thus, getting accurate and real-time data should be the first starting point in any IoT implementation,” said Agarwal. 1. Are the infrastructure and networking elements mature enough to leverage IoT in, Inventory Management, Logistics and In-store Experience? 2. Are the connected devices securely managed over a heterogeneous network? 3. Have the business value and impact of data analytics required been predetermined by evaluating the ecosystem, type of visualization required, defining the ‘Real Time Analytics’ parameters, predictive maintenance goals, type of data being generated etc? 4. Has the right stack of sensors and devices been selected? 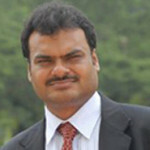 Sandeep Agarwal has 20+ years of Industry experience. He has deep experience in working with several MNCs as his customer; providing them with unique value add and technology solutions. Sandeep currently heads the Engineering R&D Services division of Happiest Minds and is focused on 2 major disruptive technologies M2M and SDDC for leveraging the SMAC wave. Sandeep Agarwal Sandeep Agarwal has 20+ years of Industry experience. He has deep experience in working with several MNCs as his customer; providing them with unique value add and technology solutions. Sandeep currently heads the Engineering R&D Services division of Happiest Minds and is focused on 2 major disruptive technologies M2M and SDDC for leveraging the SMAC wave.